Cafe Hoffy: "Barb's Favorite Body Wash"...for wintery skin! Well, Christmas is over and we are in the midst of one of the coldest winters in many years. Along with the cold weather comes that awful itchy, scratchy, flakey skin that seems to get worse and worse the colder it gets. My legs get so bad that when I wear black socks they are speckled with white flakes, which I know is about the grossest thing in the world. Nothing like having dandruff on your legs... LOL!!! As you know I love Pinterest and I try lots of ideas that people post. One of the ideas that intrigued me was making your own body wash. I use body wash all the time. I've tried just about every one of them, but each of them have an ingredient or scent that I just don't like. I'm sure it's some kind of preservative, because they all have it, but I really don't like whatever it is. So I was on a quest...which one of these home-made body washes was really good. I followed some poster's recipes. I tried many kinds of soap including castile. Some of them didn't foam very much. Others were very gooey, almost like snot (gross) when you put the wash on your little puff. I tried adjusting the ingredients, but with no success. I wasn't trying to find the cheapest body wash. I was trying to find which body wash would work for me. It was also very painful to grate the soaps. By the time I got the soap completely grated, I had to take aspirin to get rid of the pain in my wrist and arm.... LOLOL! 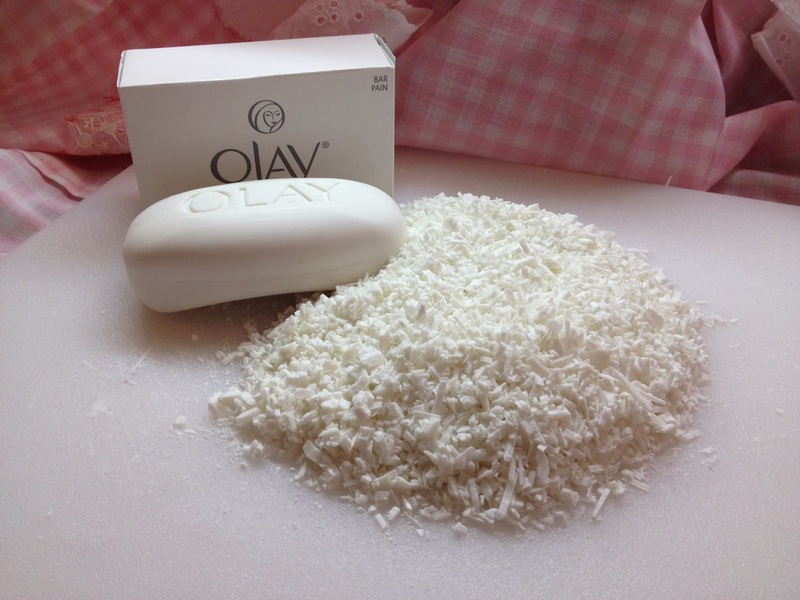 Finally, I tried using Oil of Olay soap. What a find! The grating was easy, it didn't get "snotty" and it was definitely the right consistency. The scent was wonderful and it didn't have whatever that ingredient is in it that I don't like. I adjusted the ingredients a few times until I got it the way I wanted it. The following is the recipe I used to make "Barb's Favorite Body Wash". If you've tried other home-made body wash and weren't satisfied, you might want to try this one. It's creamy, not snotty, and is very foamy. The consistency is more like regular body wash. The scent stays with you for hours and it's wonderful. Ever since I had the washing machine issue with the "mold smell", I haven't been able to wear perfume. This scent is clean and isn't over-powering. 1 T. glycerin (you can find this by band-aids in the drug dept. 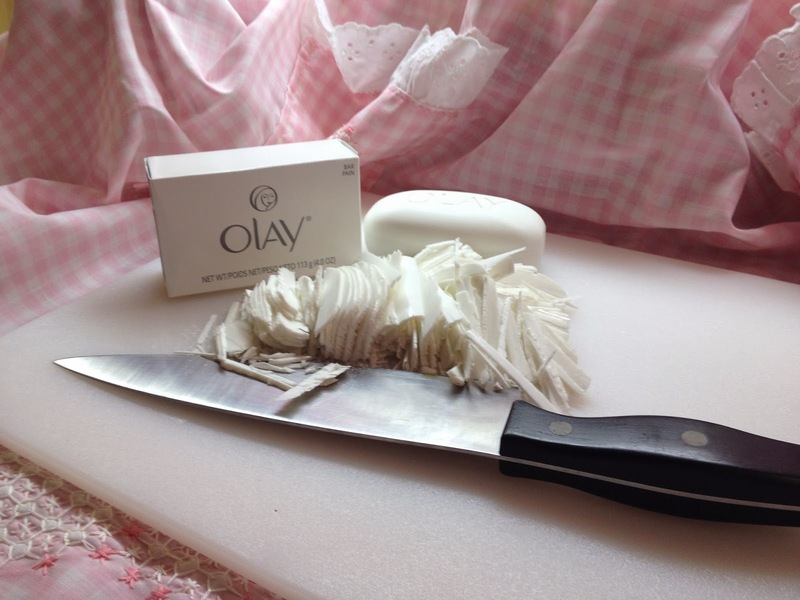 First, shred 3 bars of Oil of Olay soap. I tried the grating method, but honestly, this worked better. 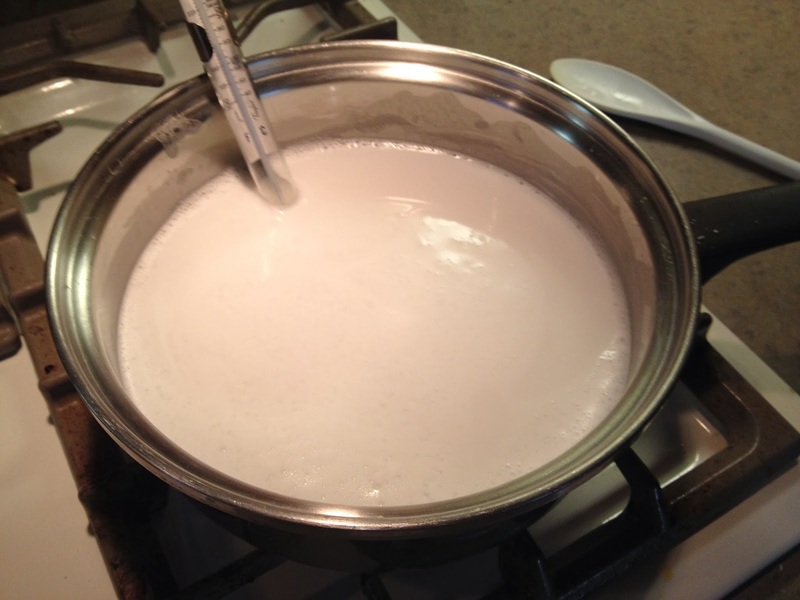 Place the 3 bars of soap in dutch oven or large saucepan with the 3-4 cups water and cook until it is completely dissolved. 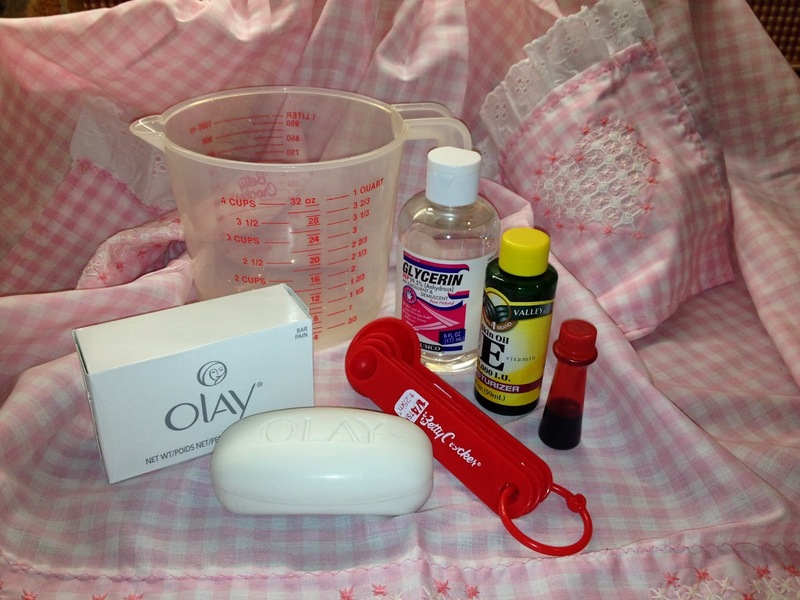 Add 1-2 drops of red food coloring for that "pink" color that Oil of Olay is noted for. Then add the glycerin and vitamin E. Finally, add the baby wash. Turn off burner and let set to room temperature. That's it! Simple as can be, but oh so nice for your skin. This recipe makes between 3 and 4 containers of body wash (I used old shampoo bottles and old body wash bottles). So one batch will cost you approximately $5.00. This equals about $1.25 per bottle. So it not only smells wonderful, works great, it's also nice on the pocket book. Ah, you have skin like mine and my daugher's. We have been to 3 dermatologists and no longer waste our time with them. Two said vit E was okay to take orally but not on the skin or lips. We have been using unscented Dove bar soap as body and face wash and a very simple moisturizer. Not happy with our laundry soap but will deal with that when we can. Yes, mold drives us crazy. We completely stripped our basement and rebuilt the support that goes through the middle of it, then new wood wall studs and sheetrock. 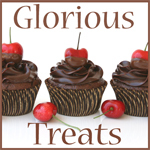 We take a good probiotic and avoid sugar and white flour. So far, our skin is doing better than it has in years. Good for you for coming up with a nice, foamy body wash...we will have to try it!